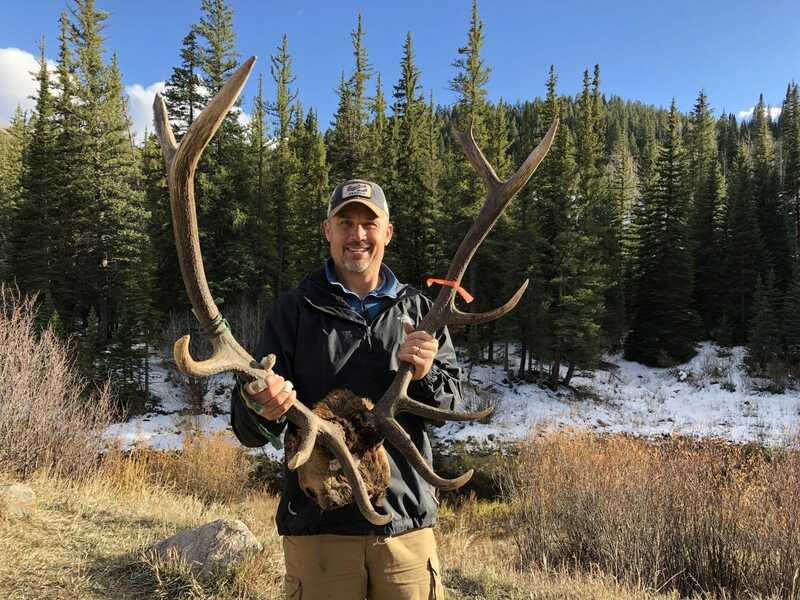 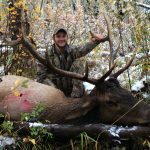 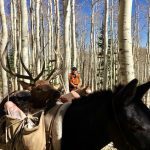 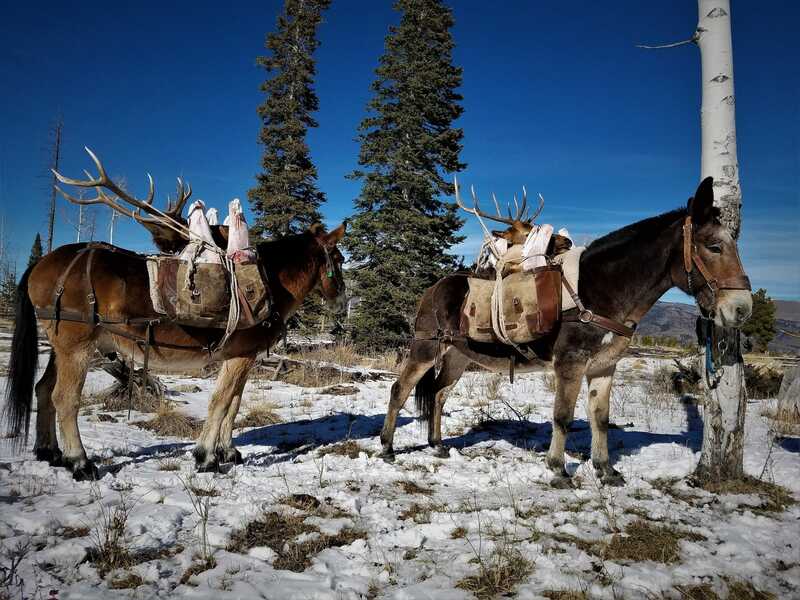 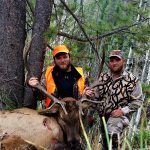 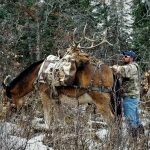 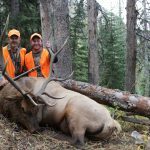 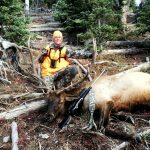 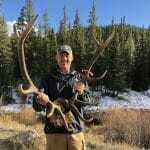 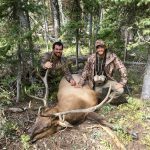 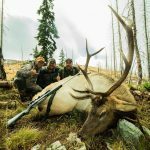 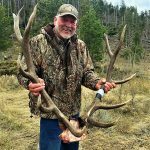 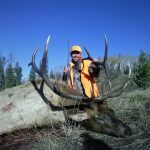 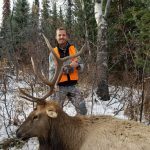 Archery and Muzzleloader elk hunting is as good as it gets and frankly it is our favorite time of year! 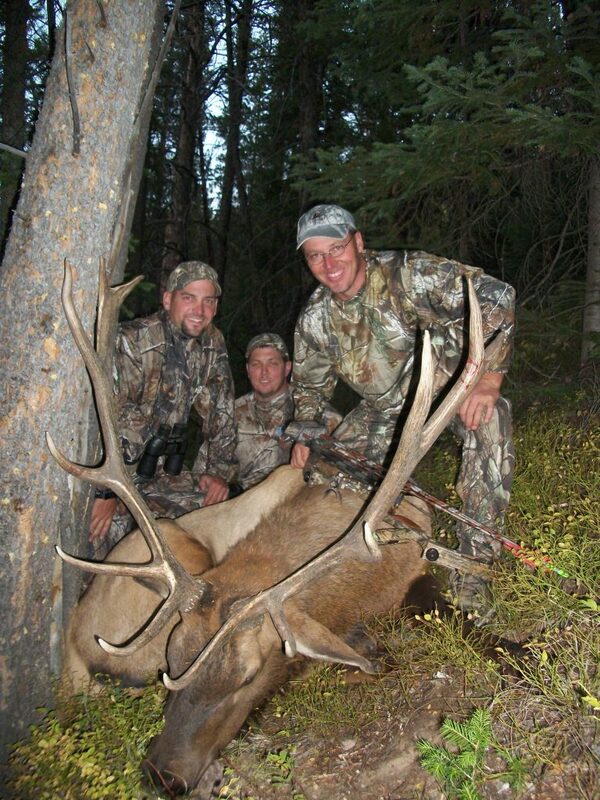 Our guides are passionate about it and live for it! 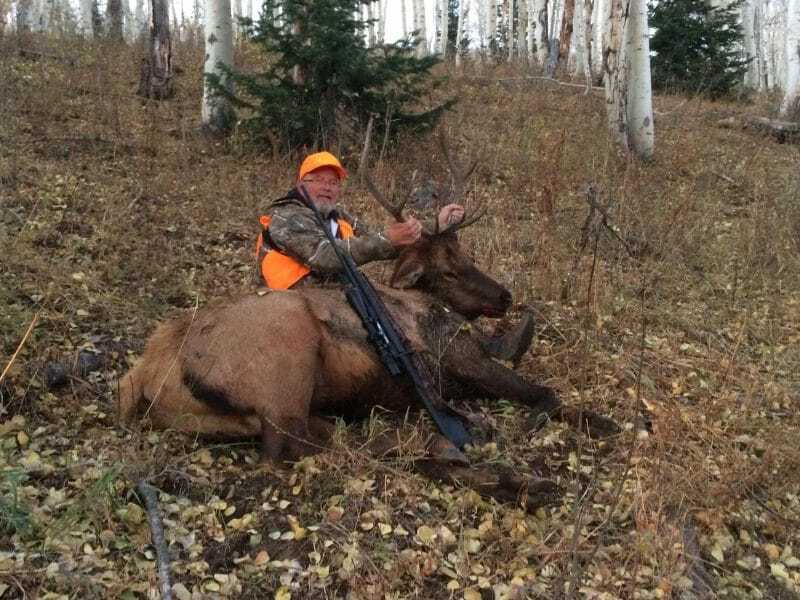 All have years of experience with calling elk too. 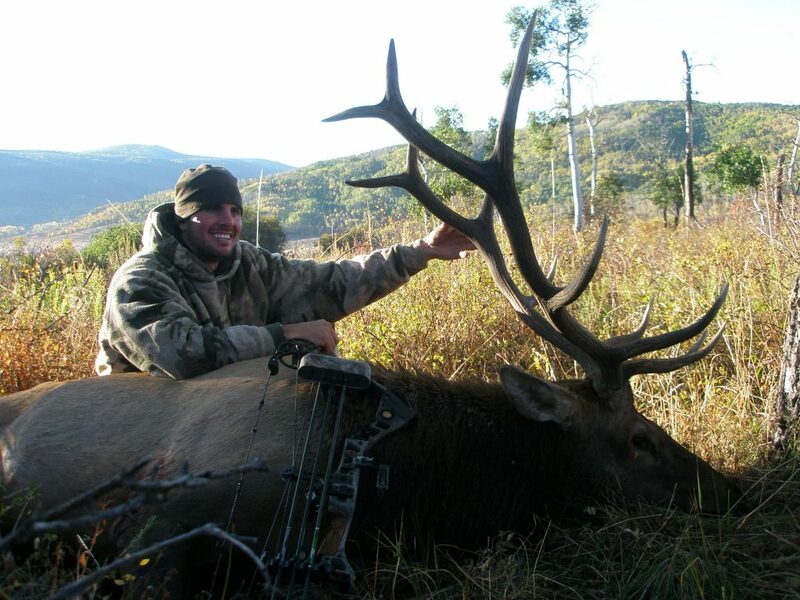 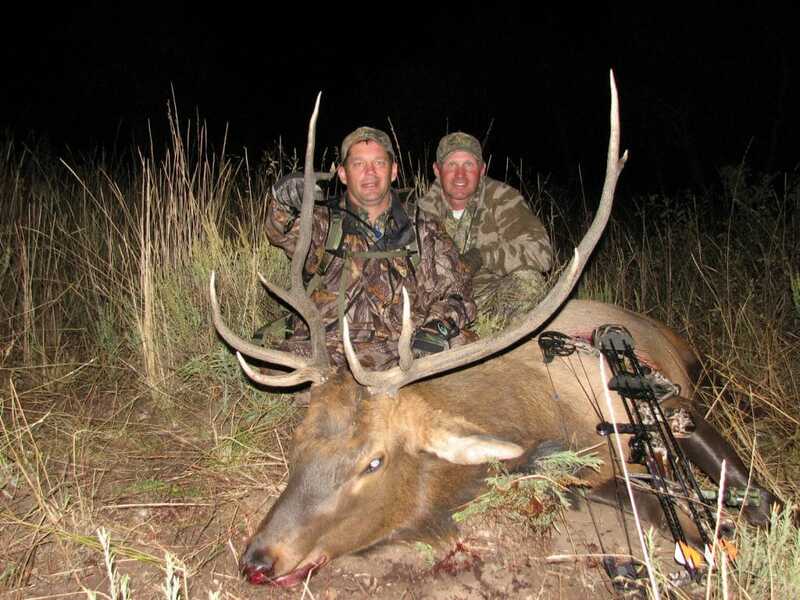 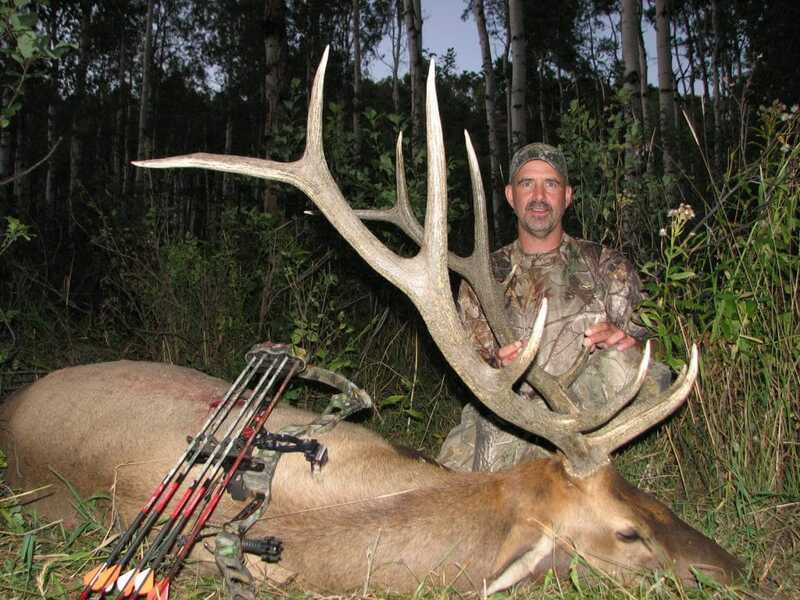 We offer 4 weeks of Archery Hunting every fall with each being a full 5 day hunt. 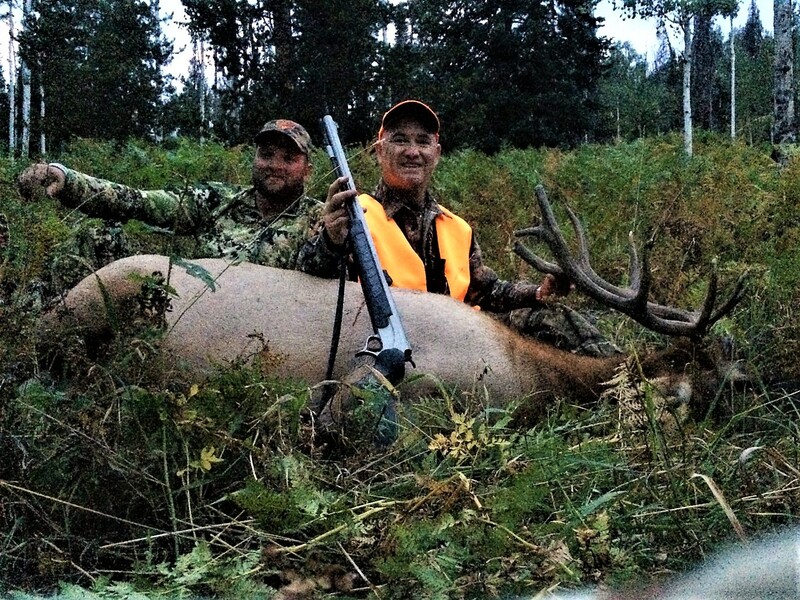 Muzzleloader is one week (5 day hunt) in duration which is always the third week of the archery season. 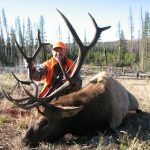 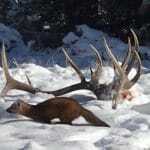 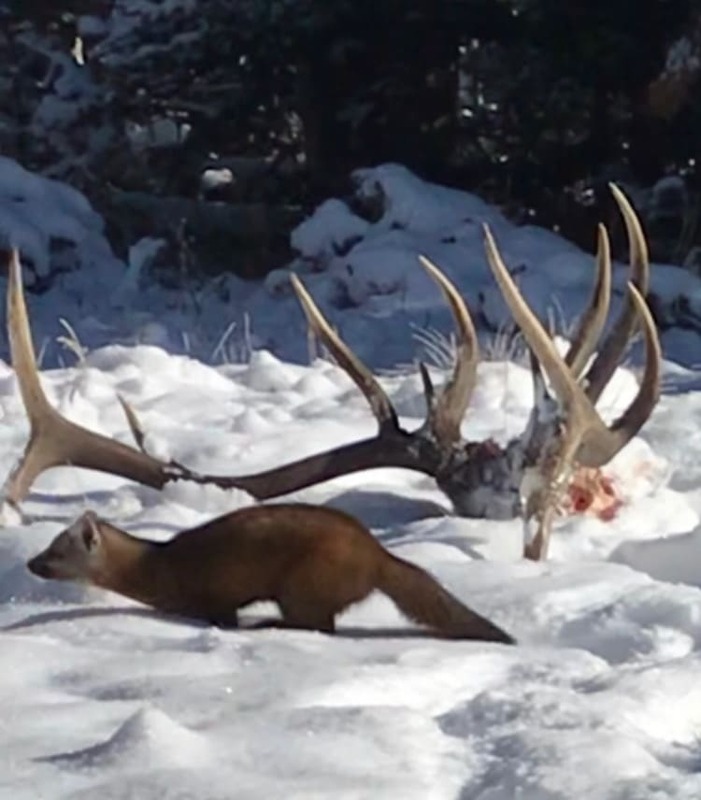 Archery hunters will typically ask us which week is best and the truth is, it really does vary year after year. 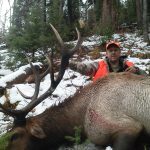 Weather plays a big part in this given elk will be less active in warm or hot weather so it can limit the window of opportunity each day. 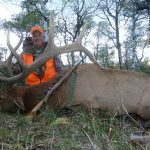 Extended wet weather (heavy rains) can also have a impact on the hunting as elk sometimes will not be as vocal in these conditions. 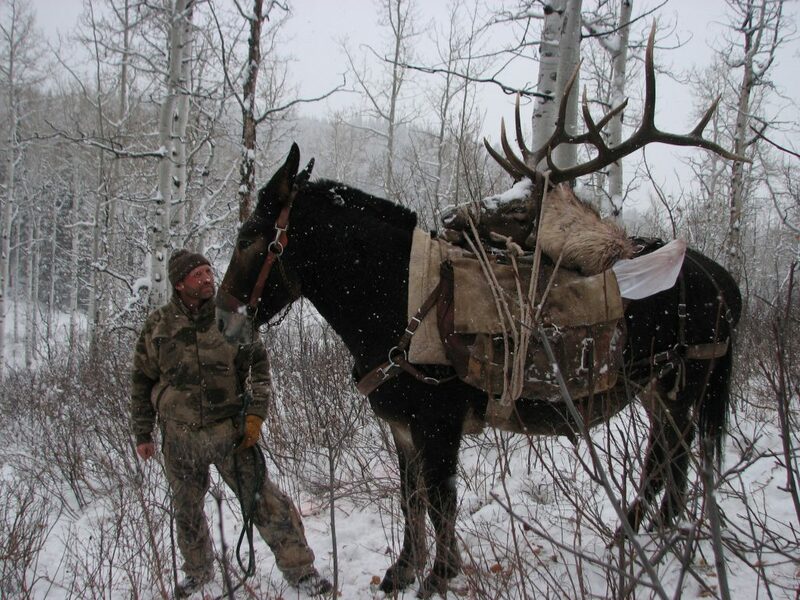 However, once bad weather breaks is when you want to be hunting. 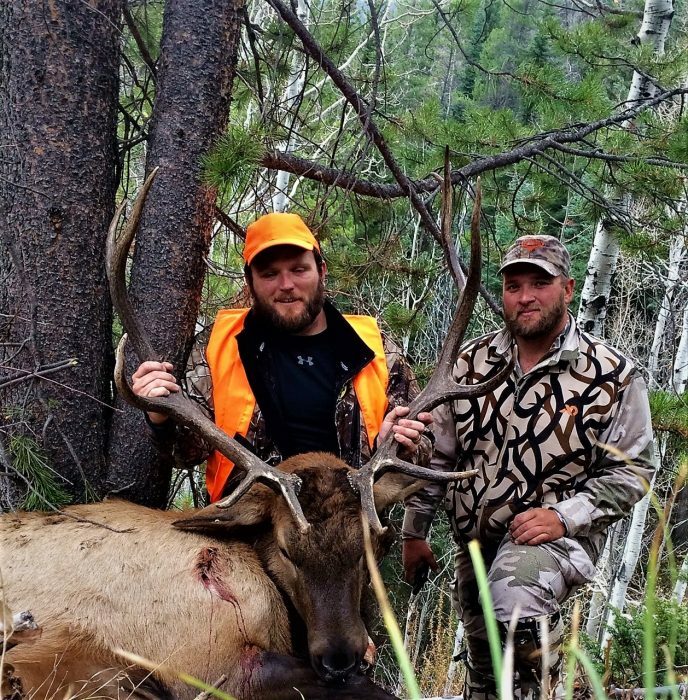 In general, we can honestly say all weeks can be productive especially if we get cool weather! 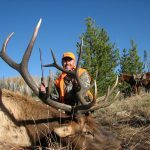 Typically, the early season can offer the chance for bigger bulls as they haven’t been hunted since last season and are not yet herded up with harems of cows (once big bulls gather up large groups of cows it can make it much tougher to get close to them). 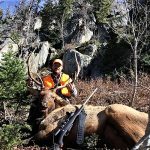 During the later weeks generally elk will be talking more as the peak of the rut comes into play. 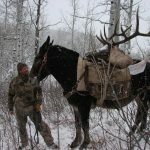 This can make it easier to convince satellite bulls to come to the call as competition for cows increases. 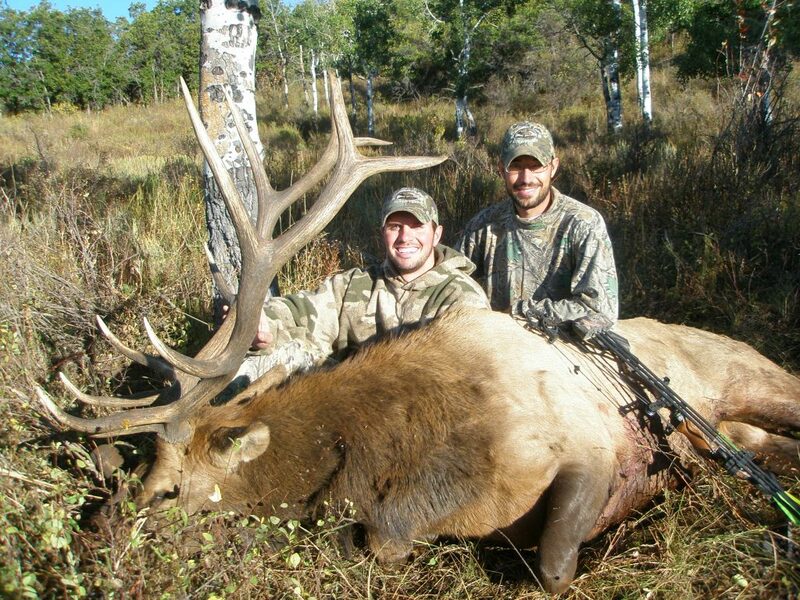 Lastly, just a few words about how we hunt. 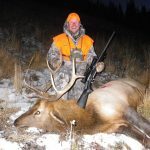 During periods when elk are vocal, we are on the move mornings and evenings trying to find and slip in on a bugling bull. 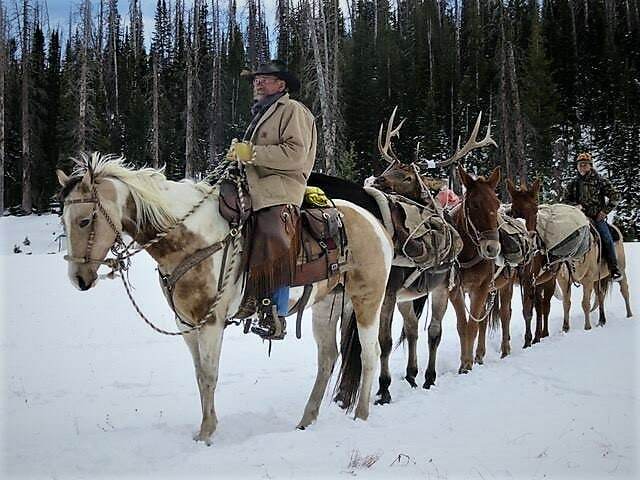 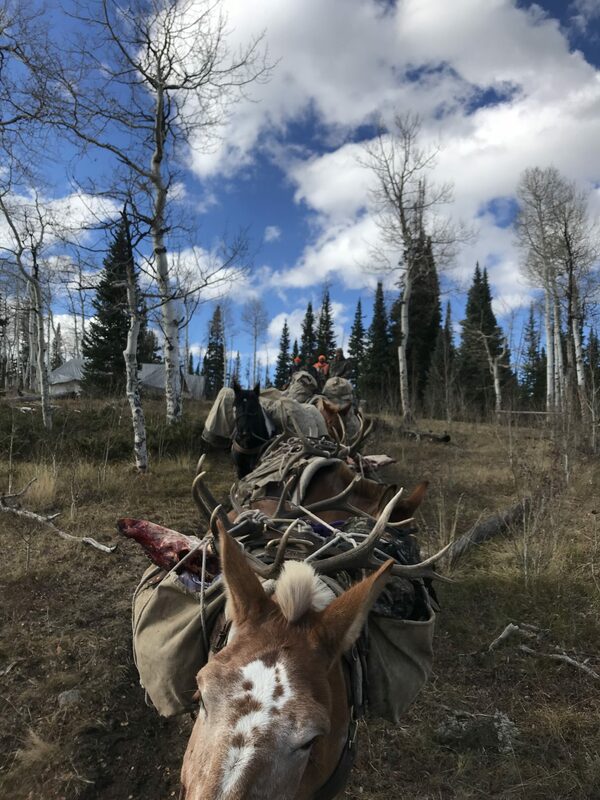 If the elk are not talkative which can happen off and on during the season for many seasons, we will resort to watching active game trails in and out of feeding or bedding areas. 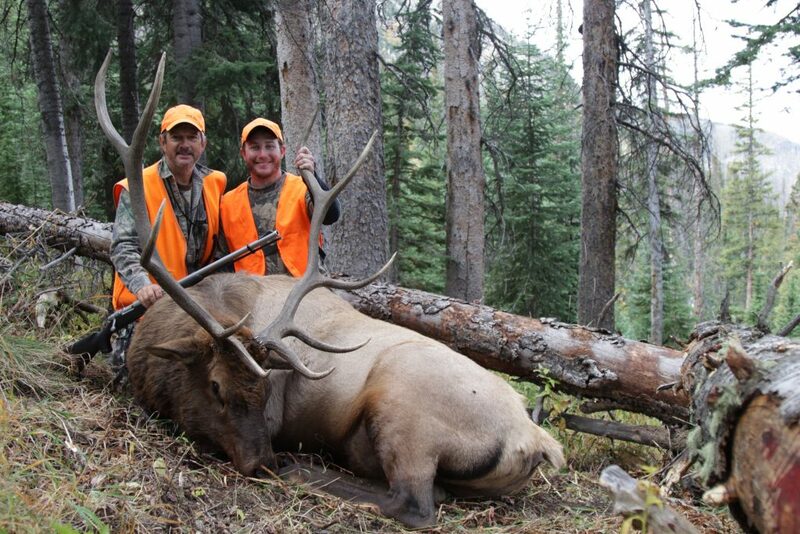 We also spent time watching active wallows (especially during the middle part of the day during warm weather). 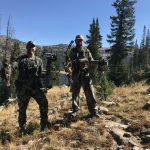 Another hunt strategy we use is glassing from high vantage points to find elk. 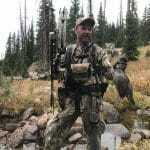 Once locating them, we will figure out a plan to try and slip in for a shot and or set up close and call. 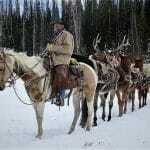 A final point on our “hunting strategy” is once we locate bulls, we are very cautious about not pushing them out of our hunting area. 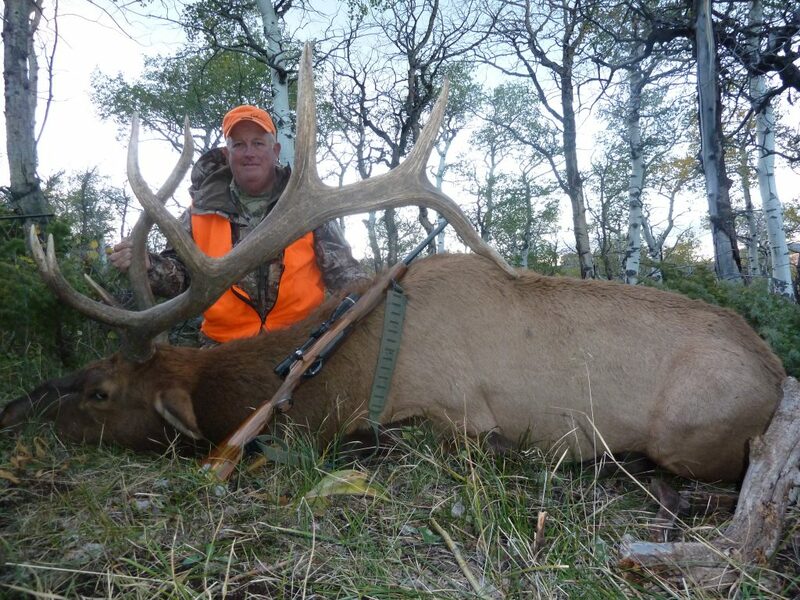 Elk can travel long distances and if pressured hard, will leave the area sometimes moving several miles away. 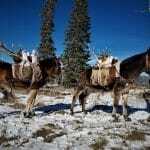 Therefore, our approach is patience if a situation is not right (i.e. 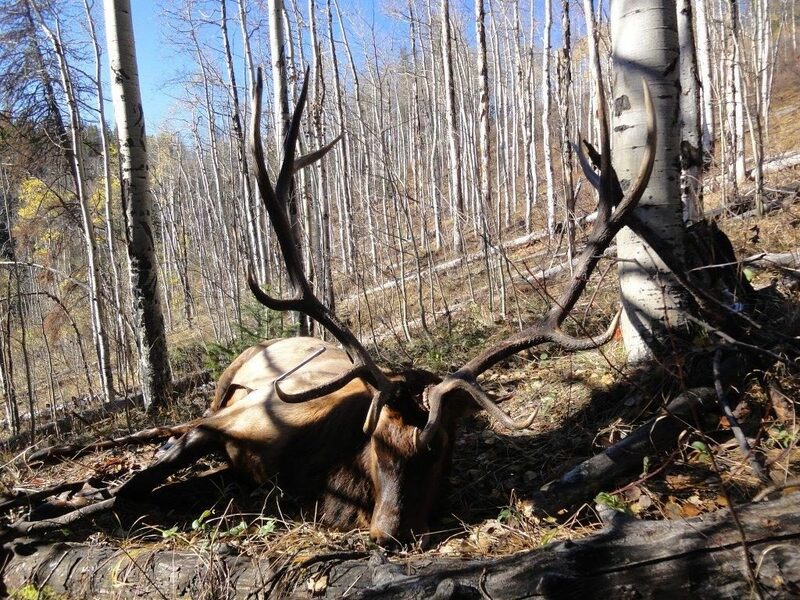 bad wind for a setup on a bull we’ve located, over calling, etc.) 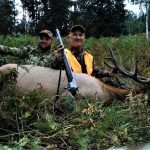 which generally results in more shot opportunities for our hunters. 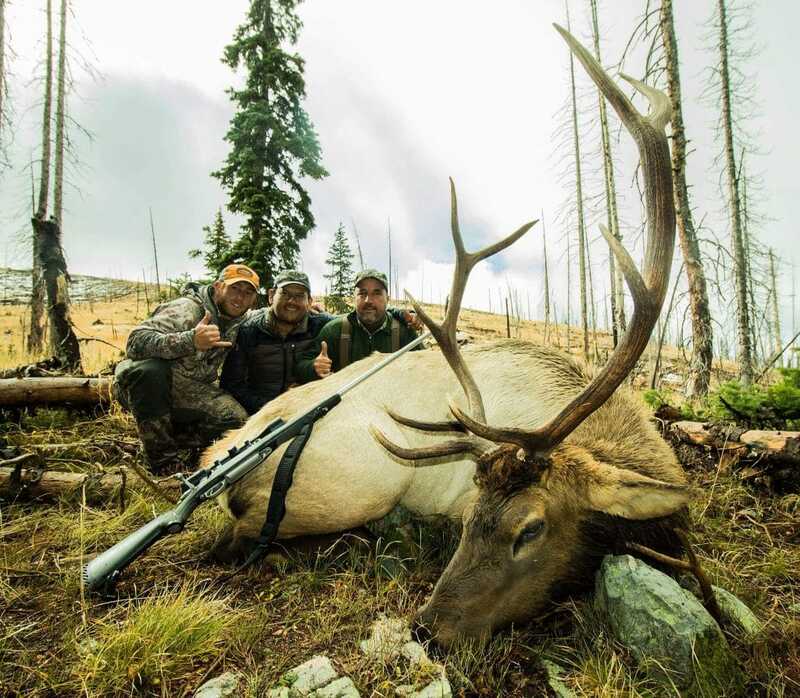 A few words for muzzleloaders: ideally, we like to see our hunters comfortable shooting out to at least 100 yards accurately at a minimum. 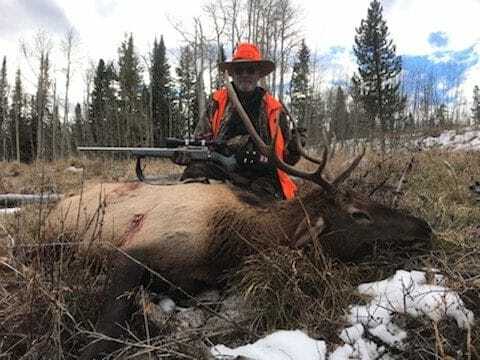 Additionally, state law also requires hunters wear a blaze orange vest and hat. 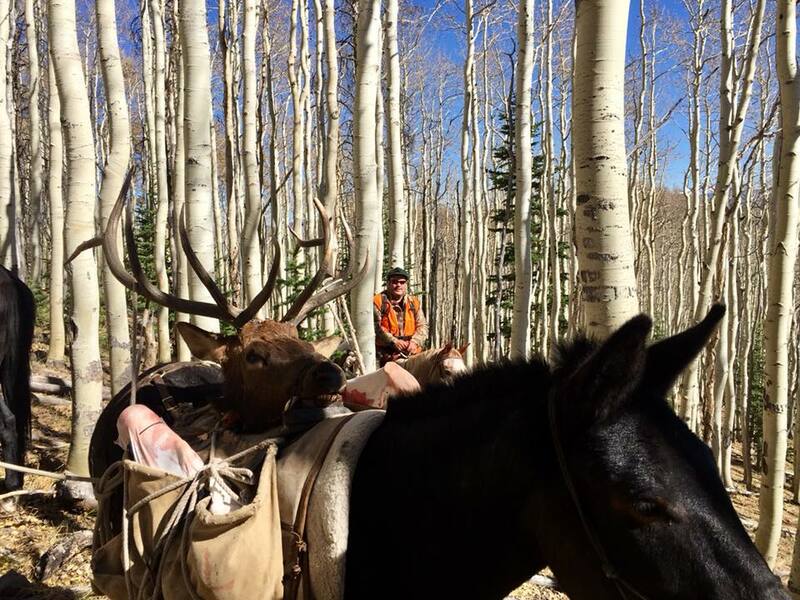 First, second and third rifle seasons all can be good hunting. 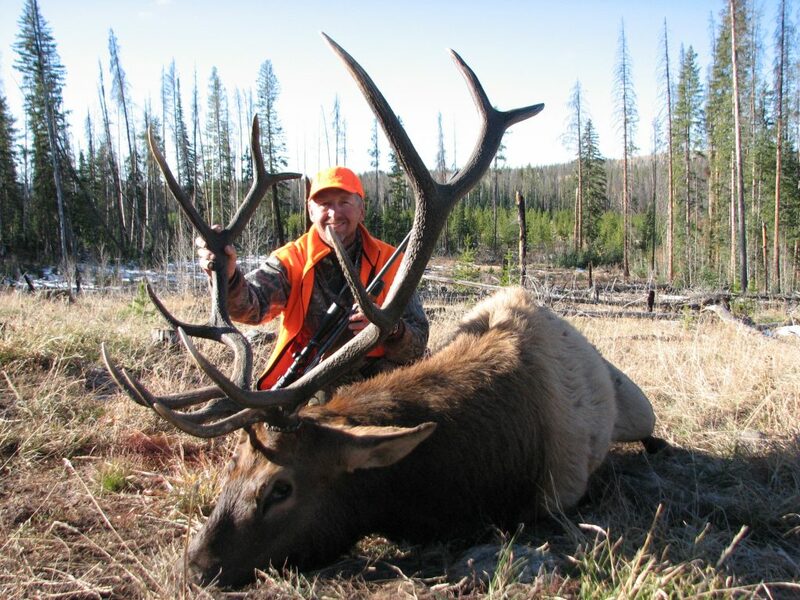 Typically, during the first season, elk are still bugling and can be called in especially the first few days. 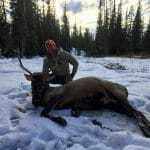 Second and third rifle can be very productive too especially with colder weather and snow. 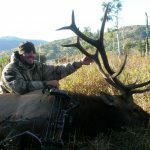 With cold, snow and the rut wrapping up, elk will focus more time on feeding which of course can increase opportunities. 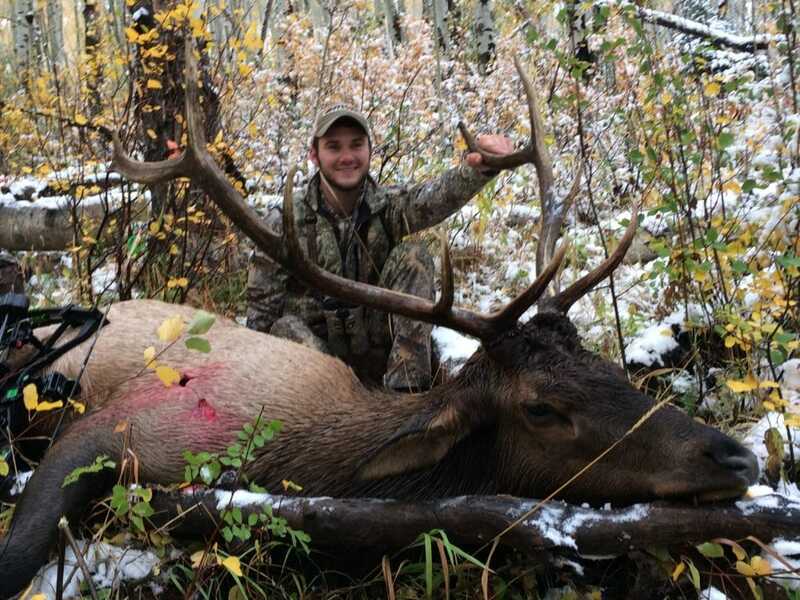 All three seasons are a five day hunt. 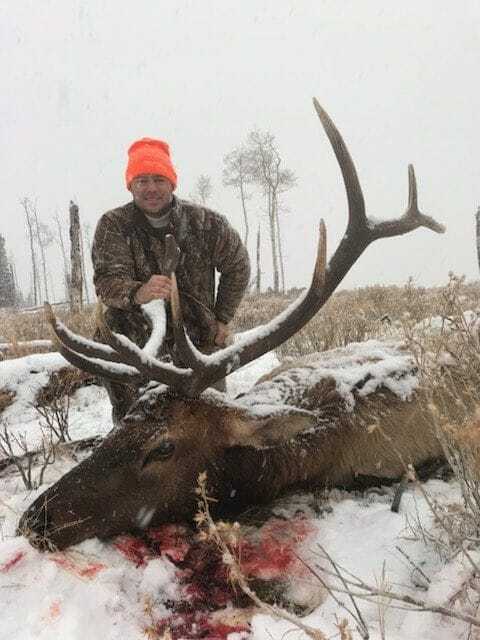 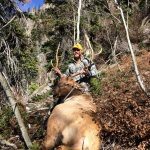 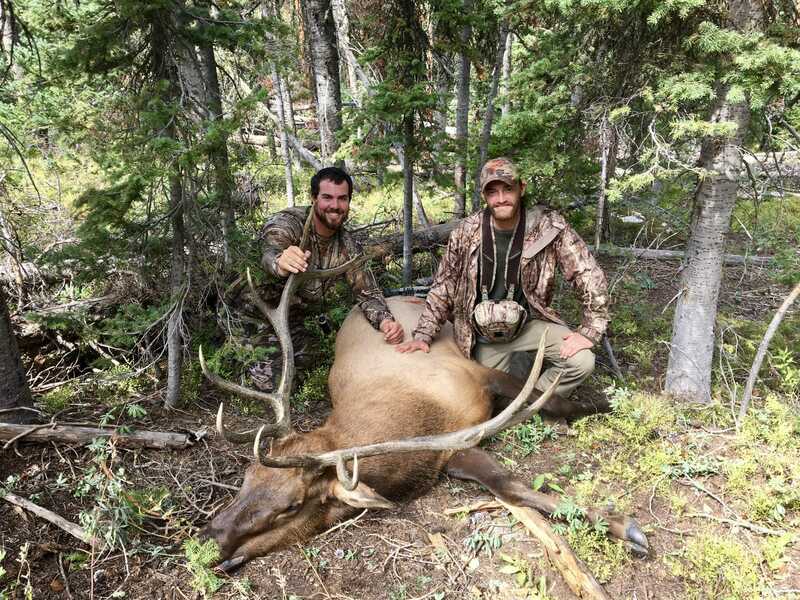 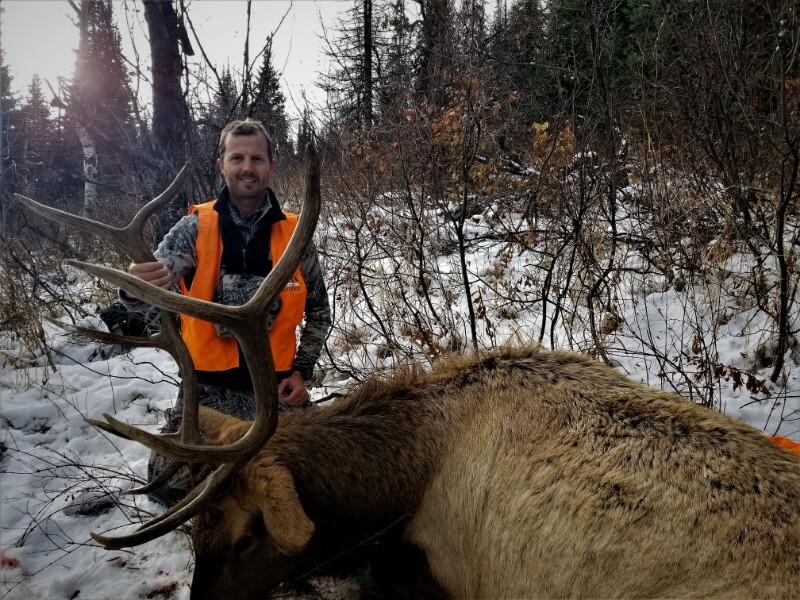 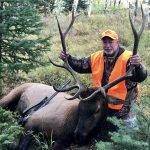 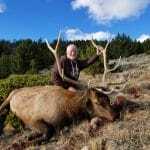 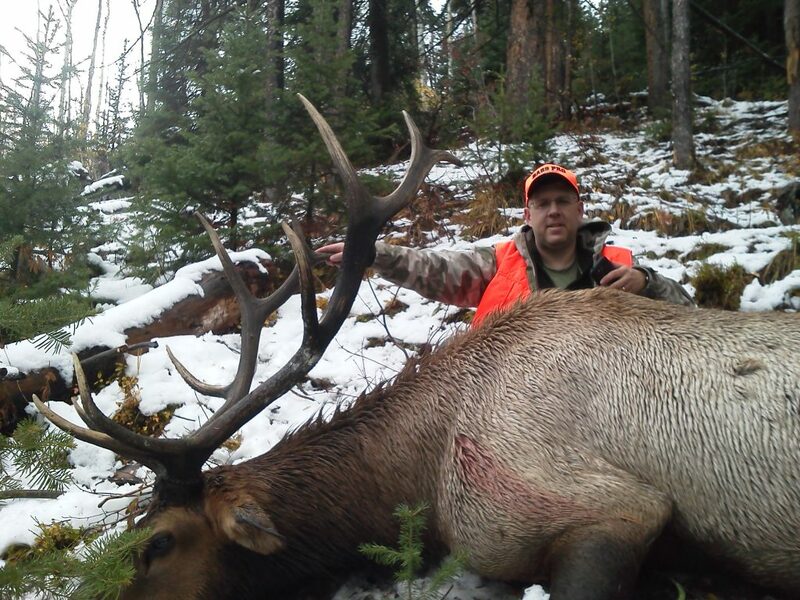 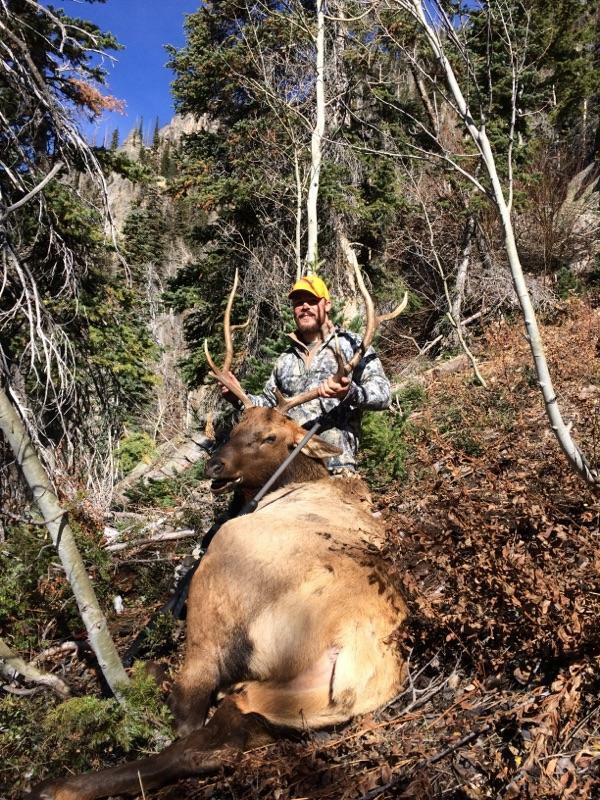 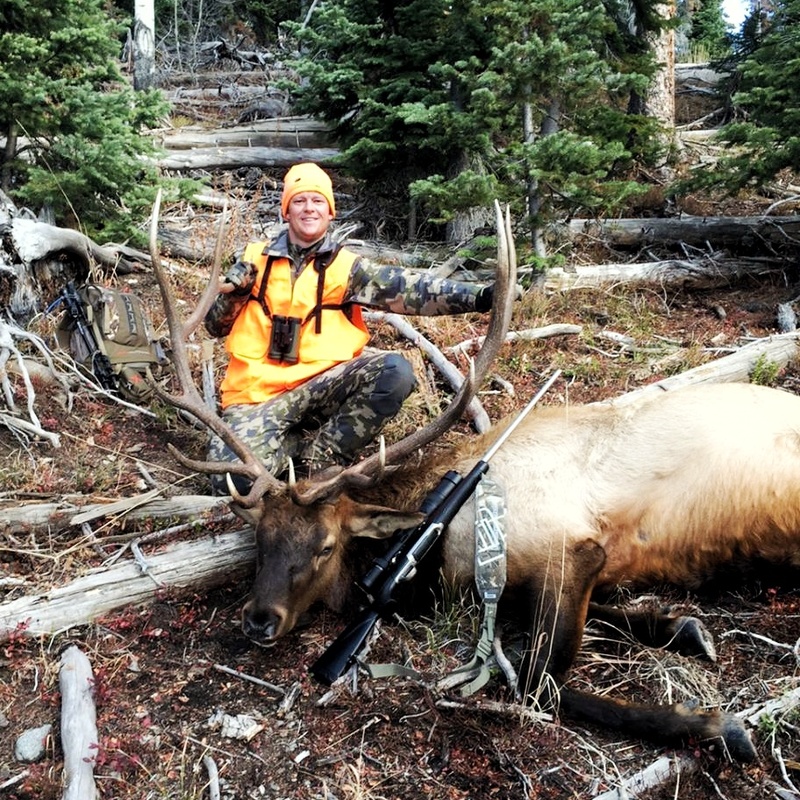 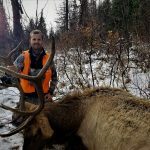 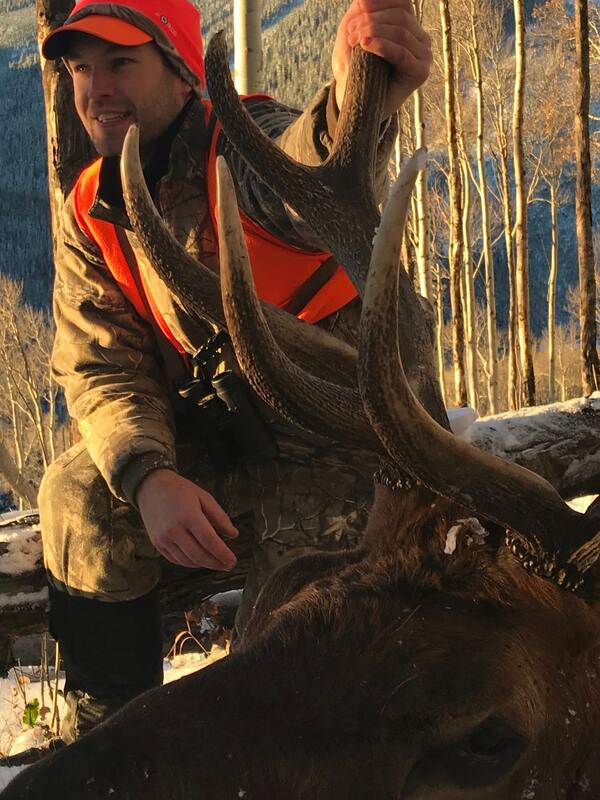 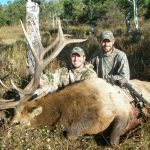 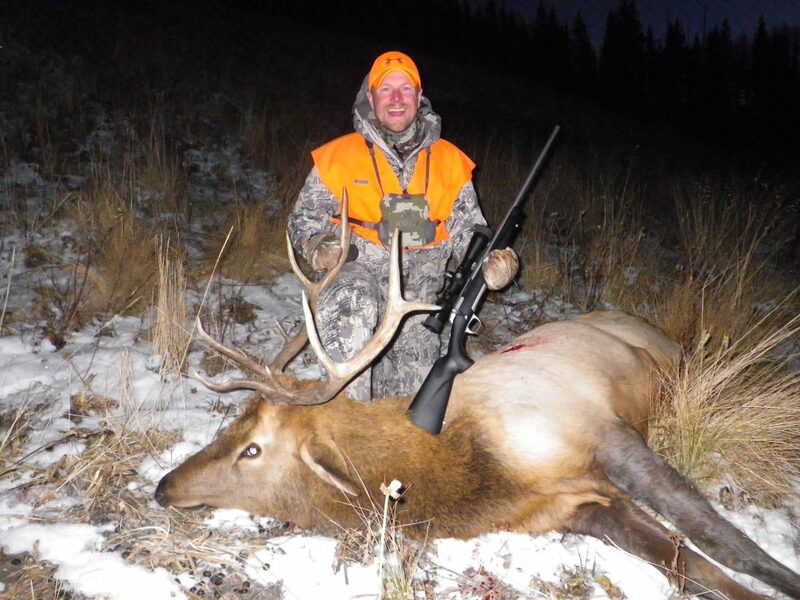 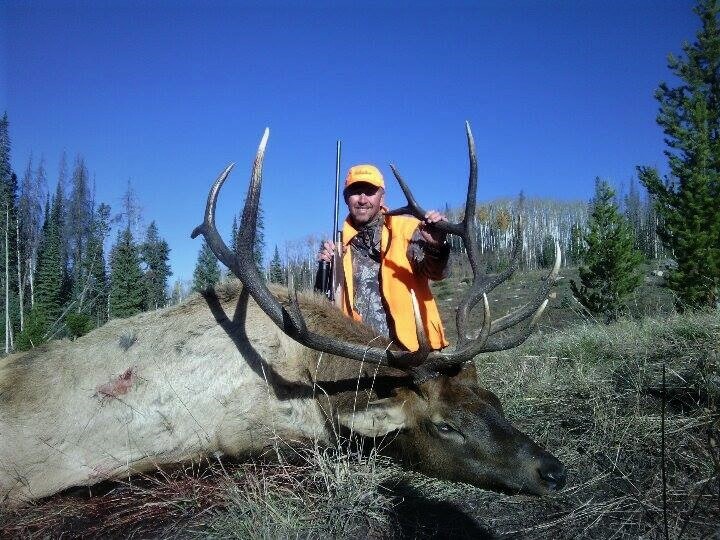 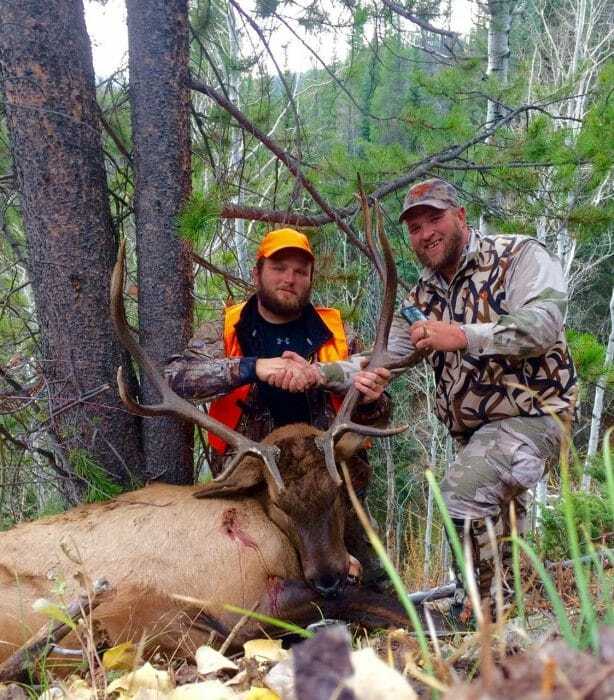 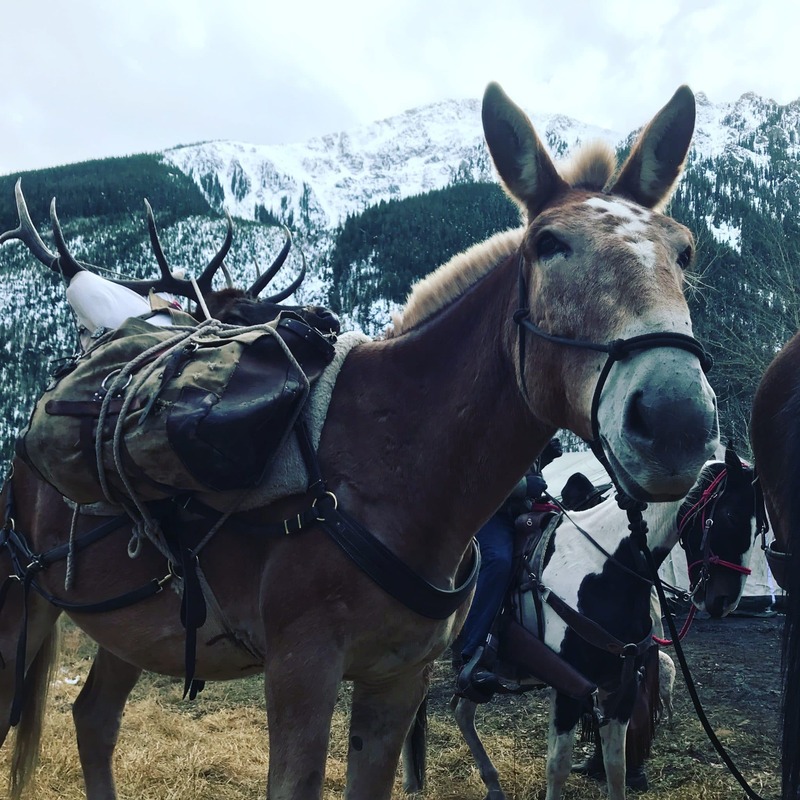 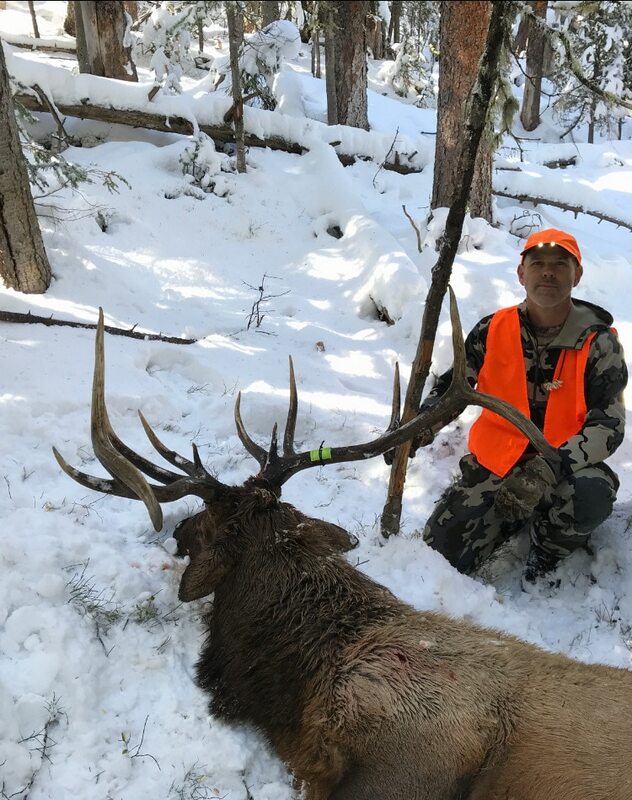 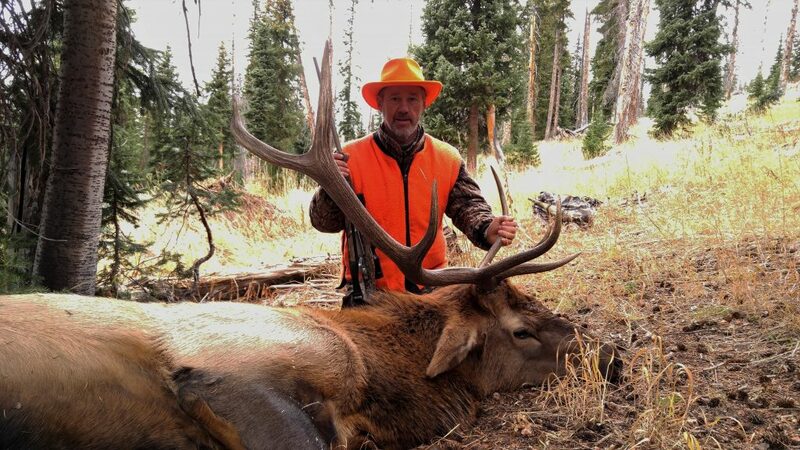 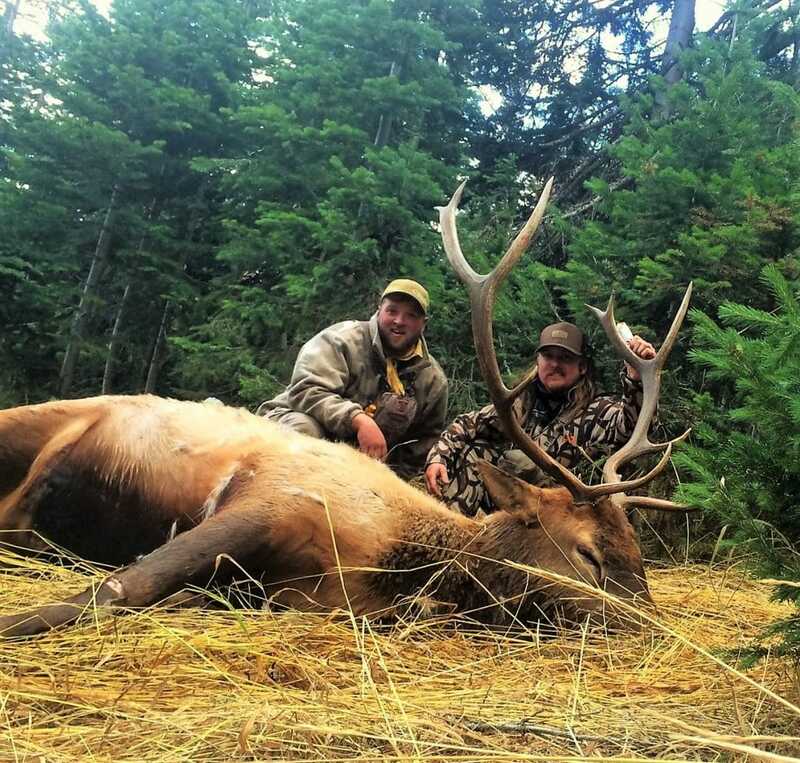 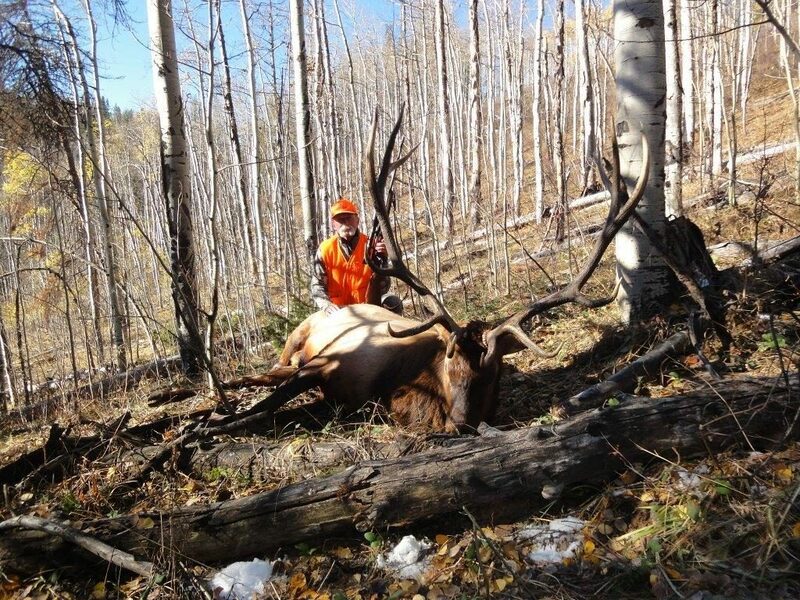 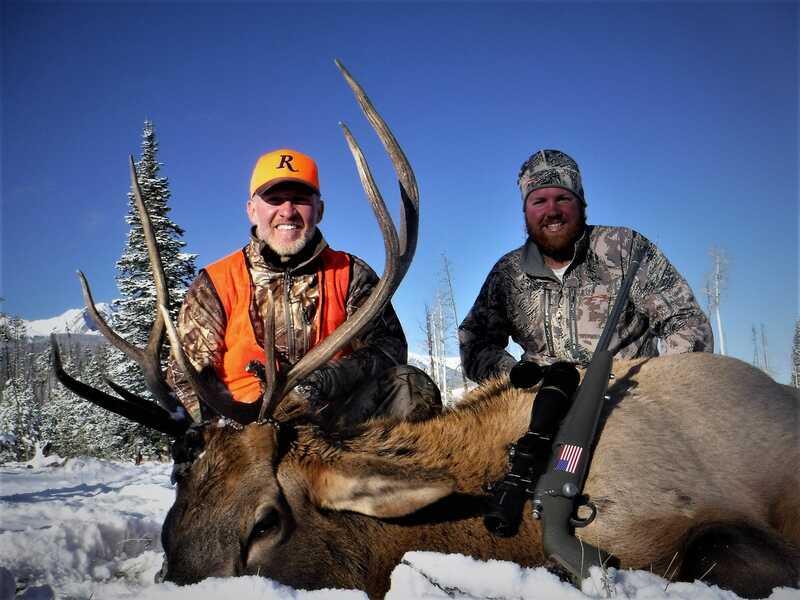 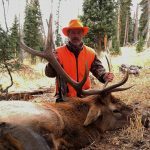 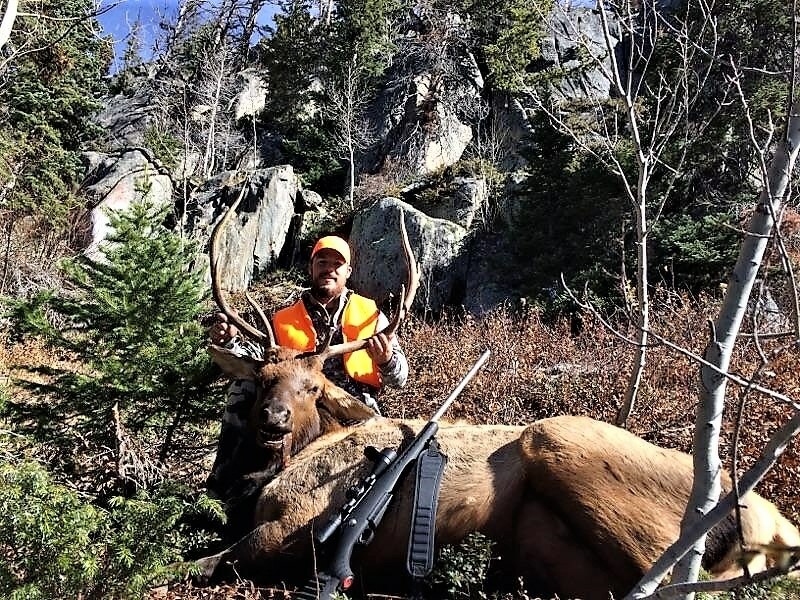 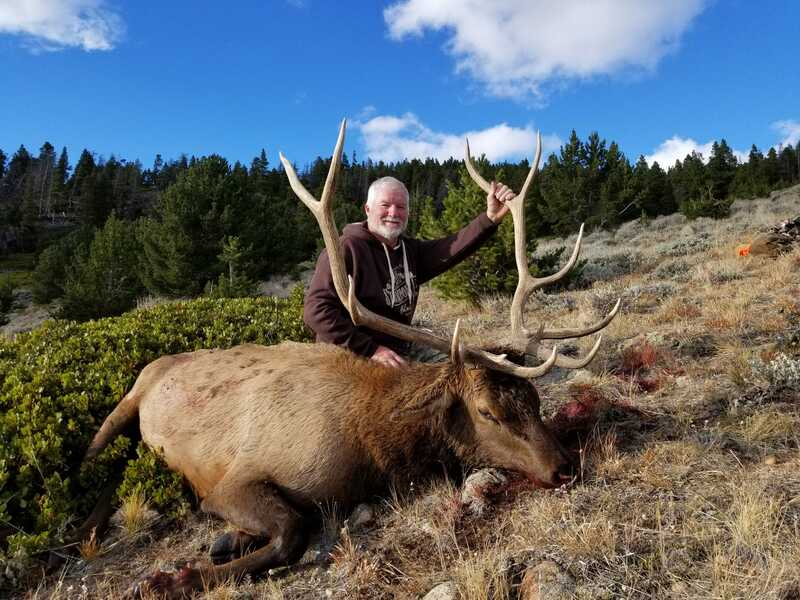 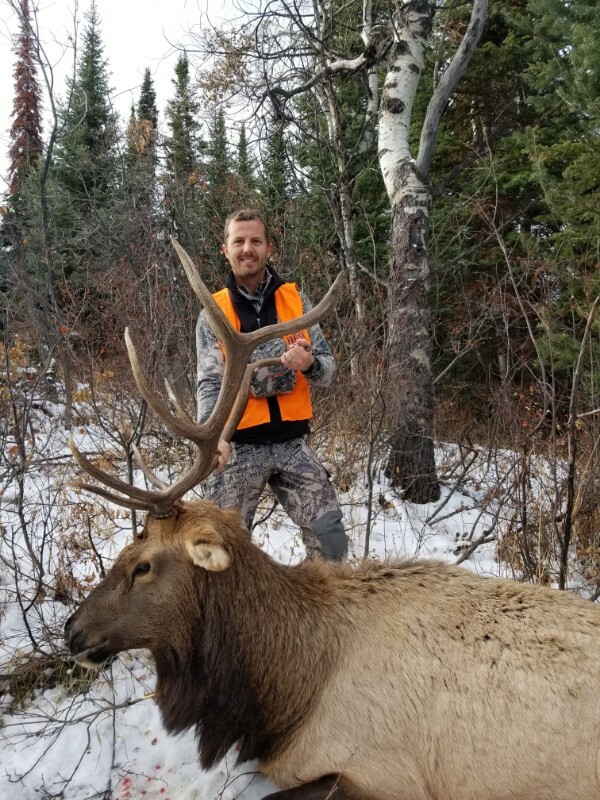 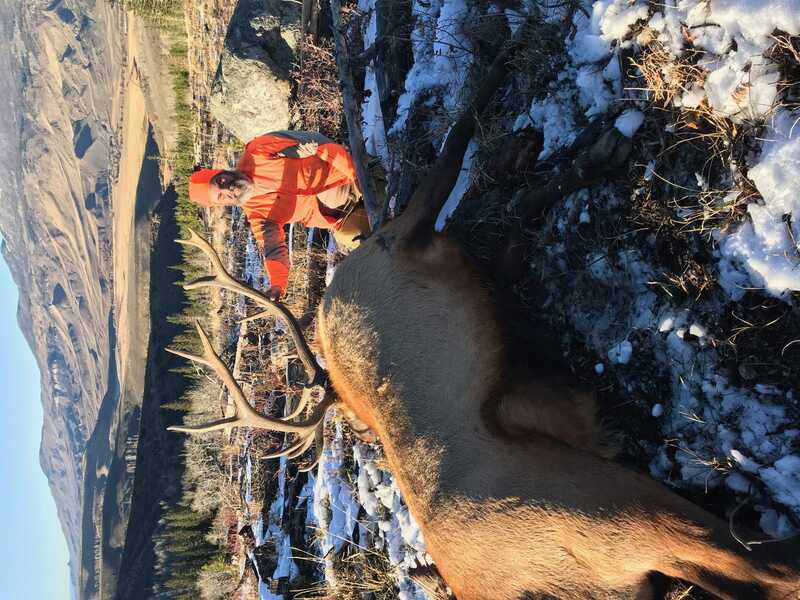 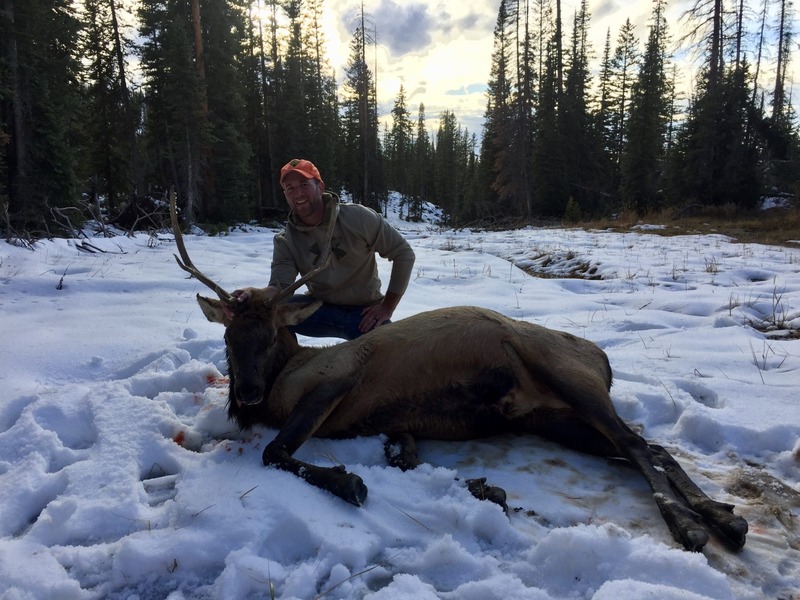 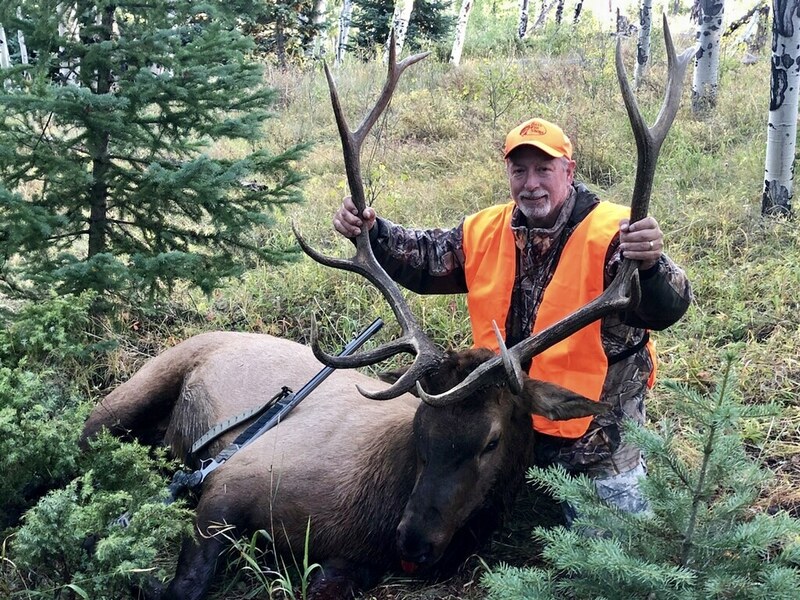 First rifle for elk is a draw so you must apply to get a bull license. 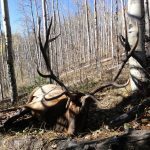 Generally, for the units we hunt, non-residents will draw with no preference points. 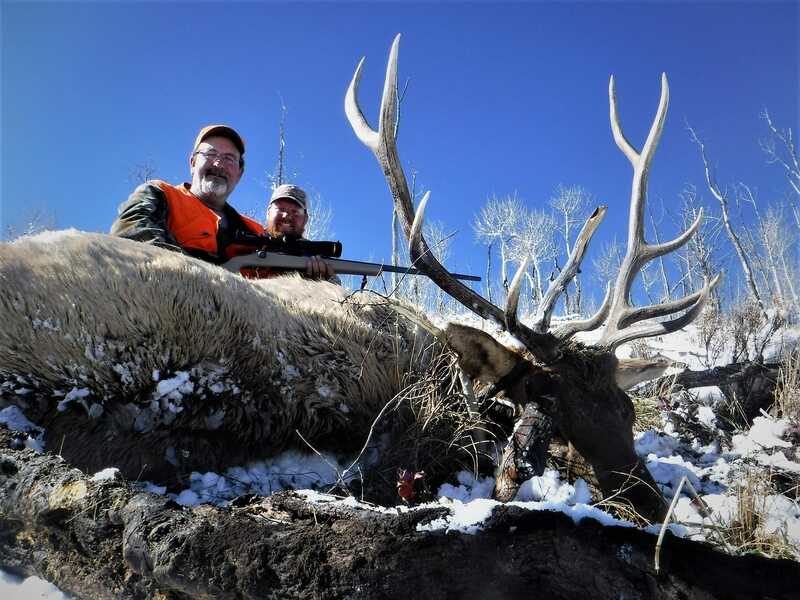 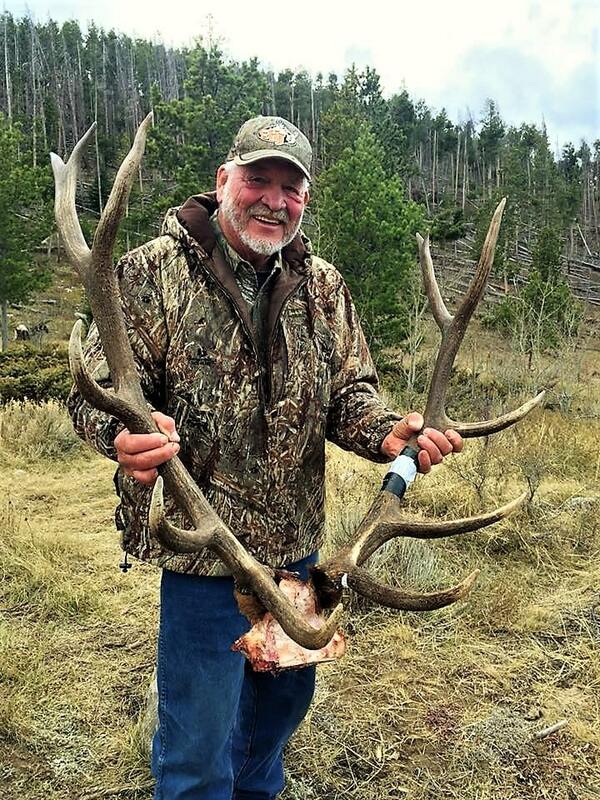 Second and third rifle are over the counter bull licenses. 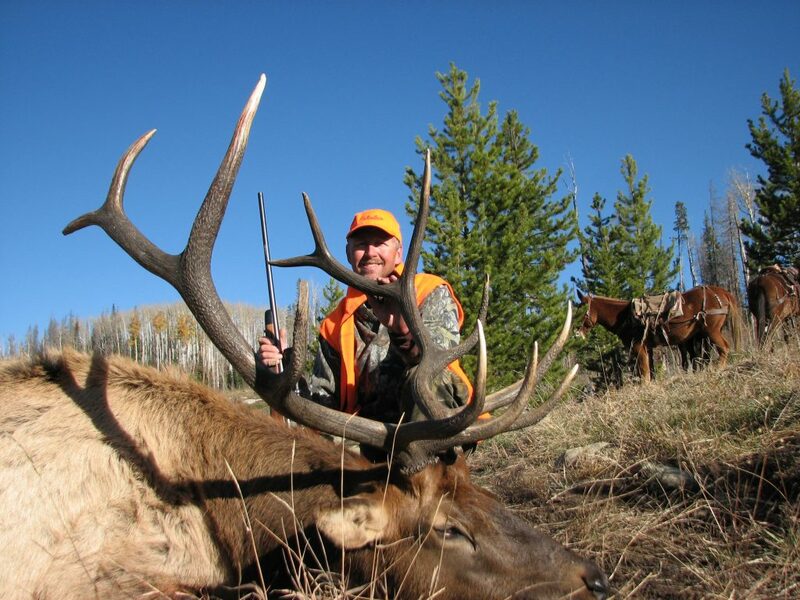 If by chance you are interested in fourth rifle season hunt, please call us. 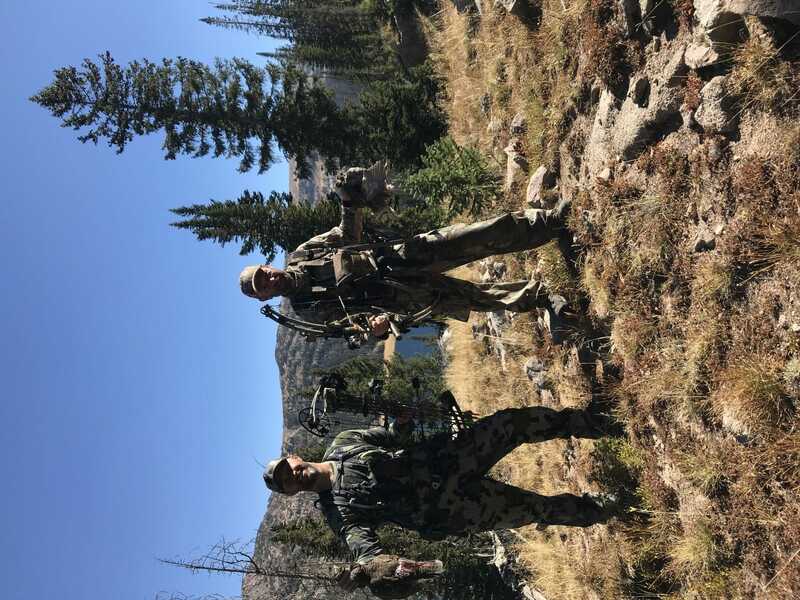 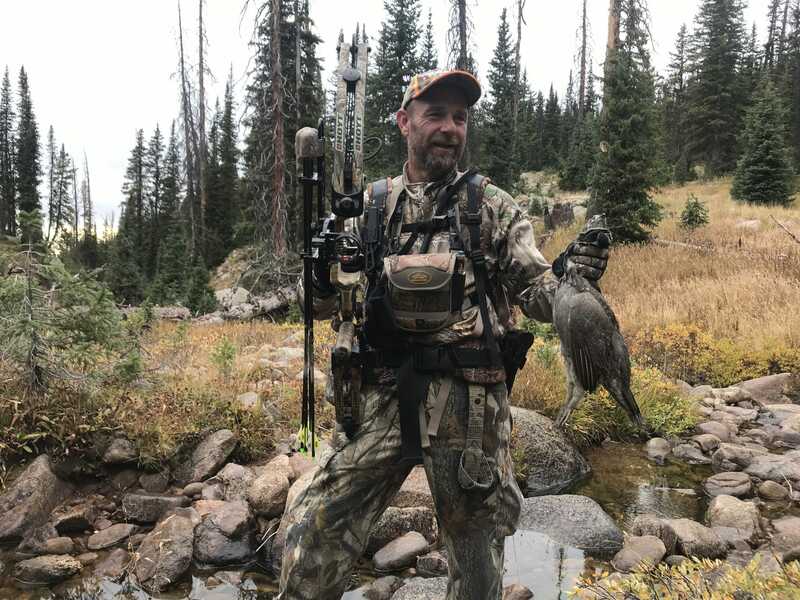 We do hunt some areas lower in elevation that could offer good hunting. 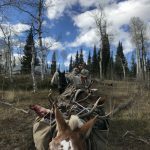 During the rifle seasons, we use a combination of hunting tactics. 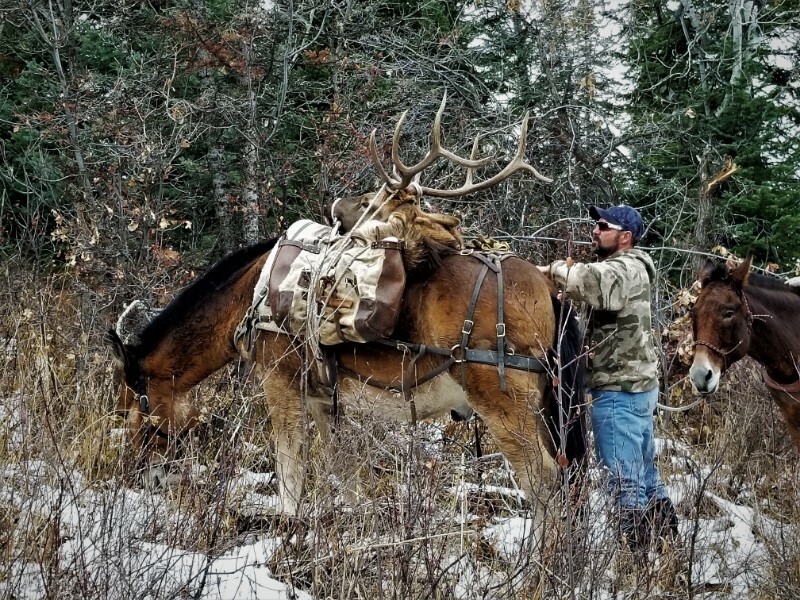 These include calling, glassing and stalking as well as sitting and watching feeding areas early and late or heavy used game trails to / from feeding and bedding areas.